LOVE that lattice!!!! Great LO Mendi! Amazing Mendi!! Thanks for showing us another facet to you and your sweetness, This page rocks and I love the diamonds with the vellum in - so dang cool and pretty!! Love it! Shows off the product so well. So creative! 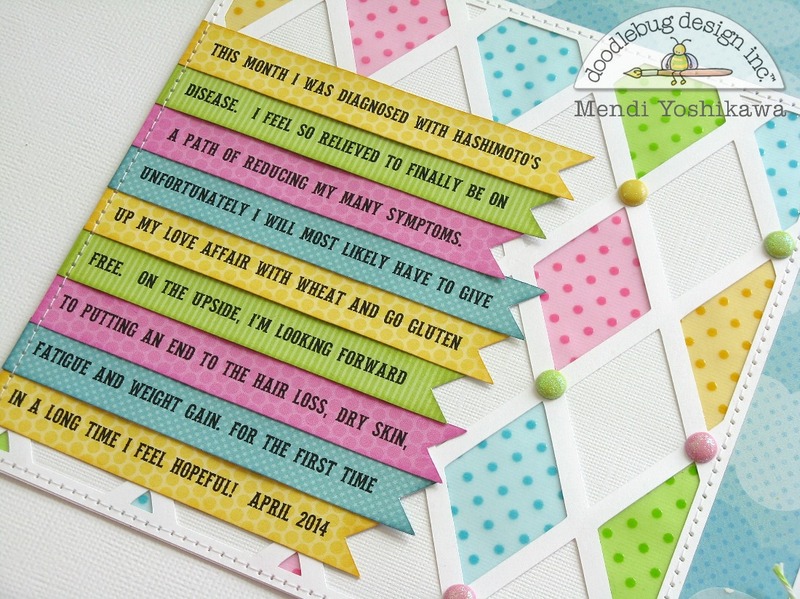 I too love that Doodlebug color scheme to mix and match new and old! 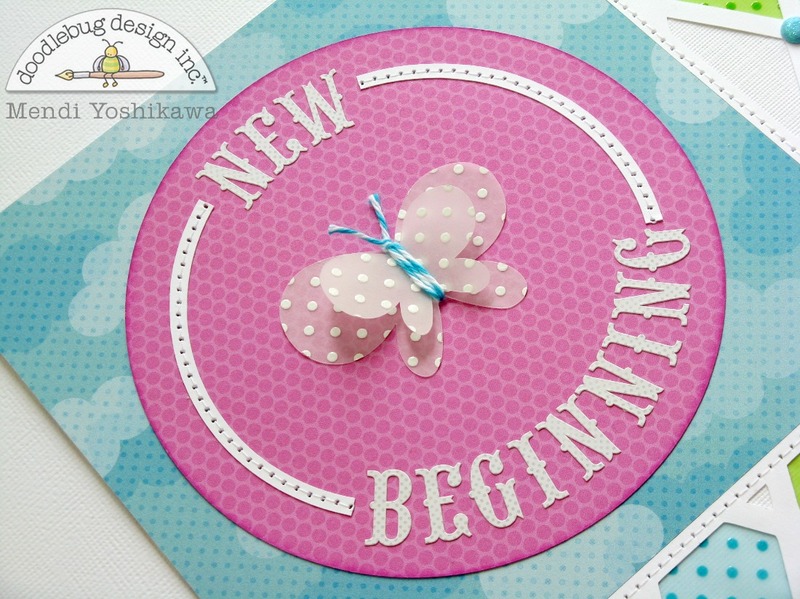 EVERY element in EACH quarter of your layout is FABULOUS Mendi - your Sprinkles vellum butterflies are BEAUTIFUL, your diamonds a DELIGHT and your journaling JOYOUS!! !